You can fill a lot of Easter baskets with this deal! Less than $1 per egg! 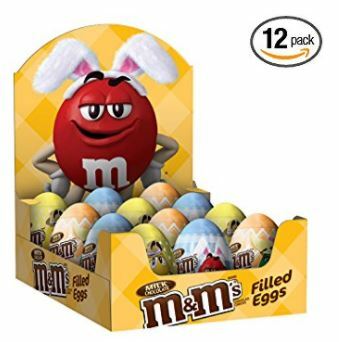 Amazon has this M&M’S Easter Milk Chocolate Candy in Easter Eggs 0.93-Ounce Egg 12-Count Box for $12.17 but when you “clip” the 10% off coupon the whole box is just $10.95. That’s just $.91 per egg!